THE #1 HYDRAULIC GENERATOR SINCE 1969. We have been “PROVEN UNDER PRESSURE” for 50 years in the most demanding environments. There is no secret to our longevity and success; it is our Legendary Customer Support and World Class Service & Training. Are you tired of broken gas or diesel generators, costing you downtime? Hydraulic generators are highly reliable; a life expectancy of 20+ years. They can be operated in a stationary mode and in a mobile mode, a BIG advantage over traditional forms of power. WHY CHANGE? WHY HARRISON? WHY NOW? How do I choose the Harrison Generator System I Need? 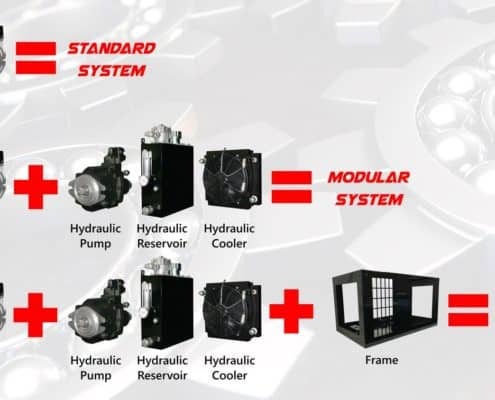 Standard System: For when you have your own On-Board hydraulic system already and just need a Hydraulic Generator. 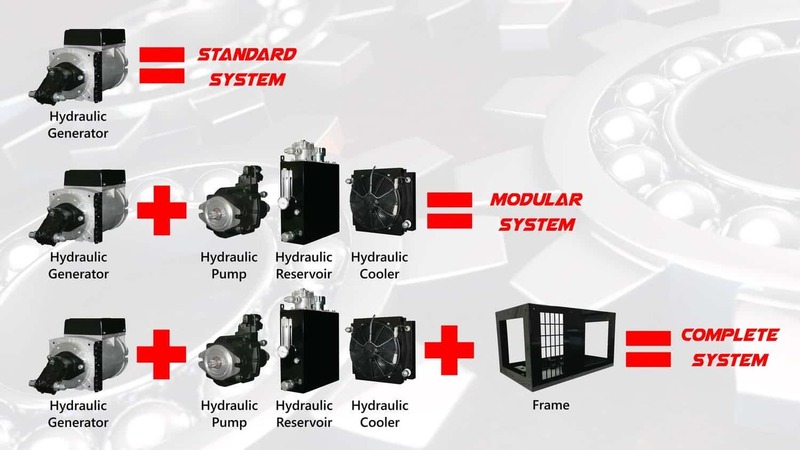 Modular System: For when you have your own On-Board hydraulic system already, BUT may need additional components to complete the Hydraulic Generator system. Complete System: For when you DO NOT HAVE your own On-Board hydraulic system and need a complete Turn-Key Hydraulic Generator package. Harrison can replace your old hydraulic, gas or diesel generator with a completely new Harrison hydraulic generator and offers a trade-in allowance on your old generator. And, like all Harrison generators, a generator installed through the retrofit program is backed by the most comprehensive warranty in the industry. You depend on your tools and equipment to help you do the job right the first time, and enable you to keep your word. That’s not something we take lightly. We let our product speak for itself; almost 50-years of continued business in the most demanding environments. Harrison’s world headquarters is in an all-new 45,000 sq. Ft. Manufacturing facility in Houston, TX. This new facility was designed and constructed to allow Harrison to use the “best-in-practice” processes and procedures to exceed our customers’ expectations. Every Harrison hydraulic generator goes through the most advanced computerized testing, with documentation of the test results provided with each product. Customized or off-the-shelf, all Harrison hydraulic generators are tested to the same standards.